View More In Gate Locks. 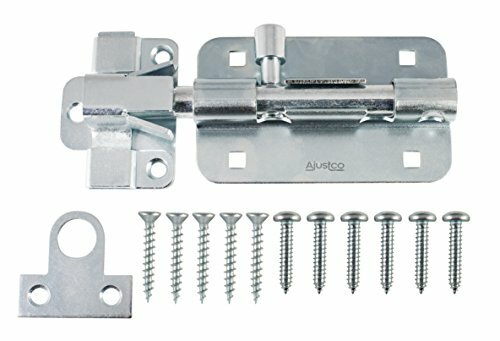 Ajustco's Extra Heavy Duty AjustLock 5 Inch Zinc Barrel Bolt Lock can be used as heavy duty commercial door locks, outdoor gate locks and stall locks. It solves the common door misalignment problem, due to temperature change, building settling and loosening of hinges, causing traditional barrel bolt locks to no longer secure doors. It is possible to utilize the catch end of the AjustLock only, if you do not wish to replace the (longer) bolt piece. Easy to Install: Vertical, Horizontal, Right or Left-hand Installation. If you have any questions about this product by AjustLock, contact us by completing and submitting the form below. If you are looking for a specif part number, please include it with your message.